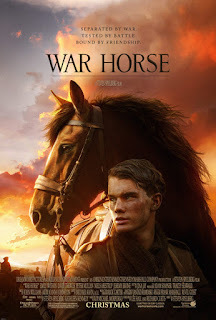 The new Stephen Spielberg film War Horse based on the Michael Morpurgo book about a horse that serves in the Great War of 1914-18 is a very moving film and many of its scenes are full of human emotion. One of the most striking scenes occurs when the real owner of the horse, a young man called Albert Narracott, is reunited with the animal, who he calls Joey. This happens while they are just behind the front lines of the Battle of the Somme at a field hospital. The military doctor in charge has ordered a sergeant to shoot the injured horse. Albert, or Alby as he is called, has been blinded by gas in the trenches and cannot see but just as Joey senses that his master is near so Alby, despite his impaired vision, knows it is Joey who is near. The doctor is sceptical. This blind man is suffering from some sort of shell shock. He has not found his long lost horse. “This is a random horse, Narracott, and too badly injured” he says. Alby argues his case, declaring that although he cannot see, he knows this is his horse and can describe it. “He’s not random at all, sir!” he says “He’s my horse. I raised him, in Devon. Sir, look at his legs! He’s got four white socks, he’s brown all over - and he has a white mark here - like so ….” He makes the shape of a diamond with his hands and points to his own head. The Doctor looks at the horse. He is now convinced that this is a random horse and that Narracott is delusional. Then the soldier who found Joey on the battle field and rescued him realises the problem and speaks up “Wait!” he says “You can’t see ’cause of the mud.” He spots a bucket water, grabs it and uses a rag to clean Joey’s legs, revealing the white socks. He looks at the doctor. “Four white socks!” he declares. The doctor now takes a rag himself and wipes Joey’s snout and reveals the tell tale white diamond marking. The Sergeant takes this in and puts his pistol back in his holster. No illustration is perfect but isn't this a little like the experience of the Christian at times? Not that our Master is ever blind, of course. Satan does raise questions, however. “This is a random individual” he declares “and too badly injured to be allowed to live”. Yet to look at us sometimes we are so much besmirched by the mud and gore on us through our many falls and failures that these things are hardly seen. But then the water of the Word is applied and what do we see? There may be doubts at first but then the distinctive marks are seen to be there after all. 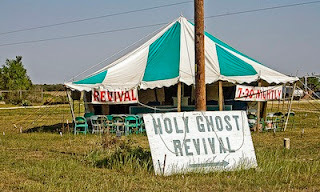 The Holy Spirit is still within. Christ is still at work in us and through us. And so Satan is denied. The pistol is back in the holster as it were. We are his; we are Christ's. And so we are spared to live a little longer and to serve again, by grace, in the Lord's own army.